Very good for a everyday hotel,and the staff were helpful,friendly and professional. The evening meal was very good and served by a friendly waitress. We found the bed to be very comfortable 5* bed an with us both having back issues we had a good nights sleep. The breakfast was also of a good standard with ample choice. The bedroom,bathroom etc were very clean but If there is 1 criticism the room was looking a little tired but if you want a value for money basic clean and comfortable hotel I definitely recommend this hotel. A hotel we often use on our journey to southern Spain although in need of a revamp the friendly and welcoming staff more than make up for it. The location of the hotel is some what convenient to the main motorway link and it is on a mian road so easily found.. The hotel has a large car park with disabled parking spaces. Have stayed many times before and find the hotel very clean and efficient. Dear guest, We would like to extend our gratitude for sharing your experience staying at Ibis Marais Poitevin. Your acknowledgements of the hospitality and services rendered by our employee will be shared with the team. Thank you for your kind review, we hope to see you again soon for another wonderful journey with us. Emmanuel ROUGRAFF Adjoint de Direction. Straight, Simple and Efficient. Staff was very helpful and professional. Dear Guest, Thank you for taking the time to share your feedback. We hope to welcome you back to our hotel very soon! Sincerely, Emmanuel ROUGRAFF Assistant Manager. We chose the hotel because of his location on our way to the north of France. Positive points were the quality of the beds (always very important after a long day of driving) and the choice/quality of the breakfast. On the other hand we were not happy with the food in the bistro. Caesar Salad without chicken and fish that was partly not cooked at all. In general I would go back for a good night sleep but will not eat anymore in their restaurant. The staff are really lovely - so helpful & friendly. The common areas are pleasant & the dining room is modern & welcoming. The only issue I would have is that the corridors & rooms look very tired, old-fashioned & in need of a refurbishment. Dear Guest, Thank you for taking the time to share your feedback.About your request, during this month we're finishing to change all the roof of the hotel and after that we will work to renovate our rooms and corridors. We hope to welcome you back to our hotel very soon! Sincerely, Emmanuel ROUGRAFF Assistant Manager. Dear Guest, Thank you for taking the time to share your feedback. We hope to welcome you back to our hotel very soon! Sincerely, Emmanuel ROUGRAFF Adjoint de Direction. Room was smely, probably due to humidity in hotel. Room was smely, probably due to humidity in hotel. Hotel require renovation. 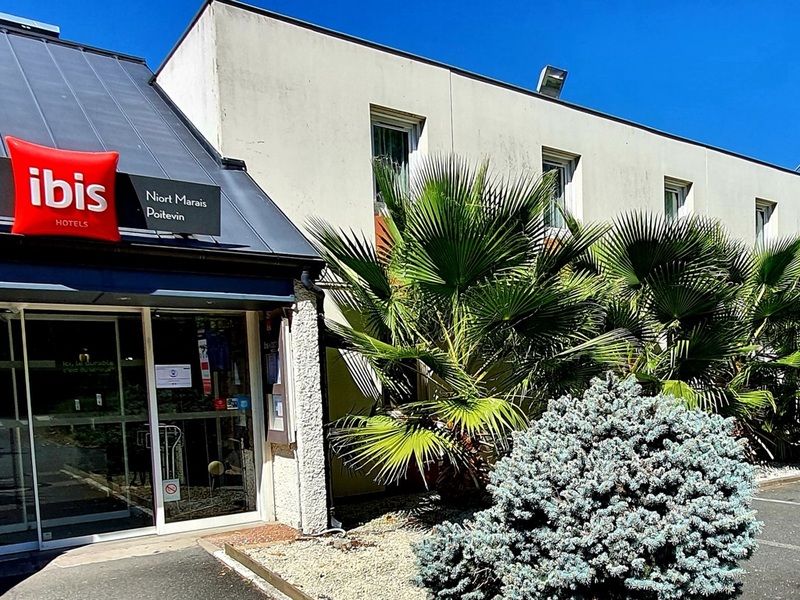 Dear guest, Thank you for taking the time to tell us about your experience at the ibis Niort Marais Poitevin. I am sorry that your experience did not meet your expectations; please allow me to express my sincerest apologies. At Ibis, we strive to provide a superior service experience for every customer; therefore your feedback is very important to us. Please rest assured that we are taking the appropriate measures to address the problem and prevent future occurrence. We appreciate your sharing your concerns, and it is our hope that you will give us the opportunity to better serve you in the near future. Sincerely, Emmanuel ROUGRAFF Assistant Manager. Situated on major approach road to Niort - easy to find. about 2 k from city centre. Car park when full is a bit on the small side. Rooms typical original Ibis - hotel is in need of a total revamp to bring it up to current Ibis standards of finish. Buffet Restaurant is small and poorly furnished. Cooked food choice could be improved. Breakfast sufficient for purpose. Pleasant helpful staff. Dear Guest, Thank you for taking the time to share your feedback. At Ibis, we strive to provide a superior service experience for every customer; therefore your feedback is very important to us. Please rest assured that we are taking the appropriate measures to address the problem and prevent future occurrence. We hope to welcome you back to our hotel very soon! Sincerely, Emmanuel ROUGRAFF Assistant Manager. Very Good, friendly staff and good location. Dear Guest, Thank you for taking the time to share your feedback. I inform you that an interior renovation plan is currently under study for our hotel. We hope to welcome you back to our hotel very soon! Sincerely, Emmanuel ROUGRAFF Assistant manager. Staff v. Friendly , always trying to satisfy you, room v. Clean. The usual good quality breakfast ,pleasant breakfast room,nice bed.We felt the bathroom was a little tired and would benefit from a refit. Staff very friendly and helpful. Rooms well appointed and clean. Easy and pleasant check in and out. Nice bar and restaurant facilities.